The onion is possibly the most used vegetable in cooking. This cookery skill shows you how to slice an onion, which can be sliced to the thickness you want. Cut it into half from the stalk end to the root and lay the flat side down onto your board. Carefully cut across the onion, working your way from the stalk end towards the root. You may need to separate the slices between your fingers. 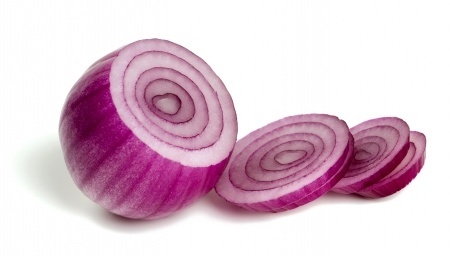 The onion can be sliced from very fine to thick slices, depending on what you require for the recipe. Now you have learnt all there is to know about how to slice an onion, why not try these great tasting recipes that use sliced onions?